These days we have heard a lot about the new Petya (or NotPetya, EternalPetya, etc…) ransomware (or wiper). It propagates itself using the same exploit as WannaCry, eternalBlue. 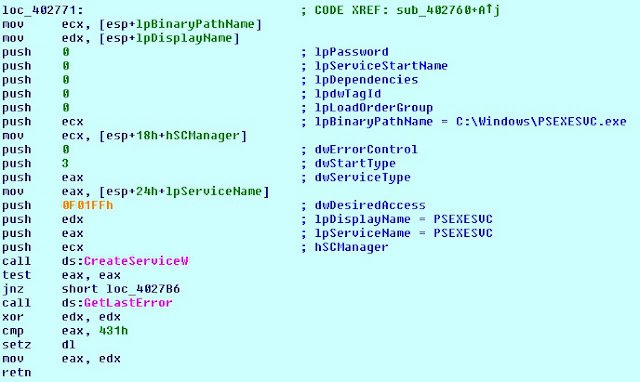 But the malware is using additional method to propagate itsefl. It enumerates local credentials and tries to login into remote machines with psexec for executing itself there. In this article I talk a bit about the Windows api that psexec is using for copying and executing files in a remote machine, and i share a PoC in python. All the information shared here is not new, it is all well documented Windows apis. If we take a quick look to psexec and we debug it a bit, we can see where are the main apis used for this purpose. 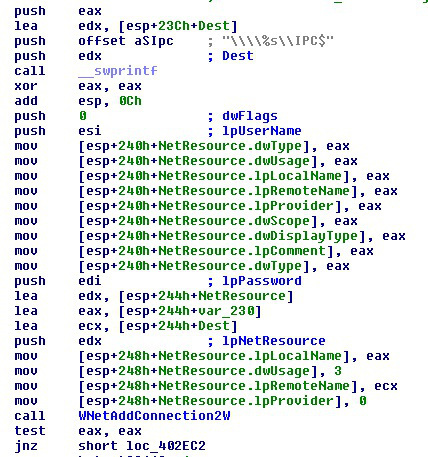 # With this script it is possible to connect a remote machine, copy an executable and execute remotely the copied executable. # If username is a path to a file, file lines are used as usernames (the script will try all the usernames. If it is not a file, the parameter is used as username. # With password is the same behaviour, if password is a path to a file, file lines are used as passwords (the script will try all the passwords for all usernames). If it is not a file, the parameter is used as password. localdrv = localdrv + ":"